Any other condition in which delay could result in loss of life or limb, etc. Critical Care comprises of 36 Intensive Care Unit beds, 14 High Dependency Unit beds and 10 Cardiac Thoracic Vascular Surgery Unit Beds which are monitored 24 hours with in house consultants, intensivist, paramedical staff, nurses, other support staff, life saving equipment and 24 hours monitoring as per international standards. Cath Lab supports all cardiac invasive as well as brain invasive procedures. Our team of most experienced Cardiac Interventionist Consultants conduct angiographies, angioplasties, valvuloplasty,pacemaker implantation etc. on a regular basis at most reasonable rates. Our state-of-the-art, most modern OT wing consists of 5 General O.T. and 1 CTVS O.T. 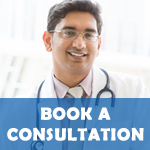 Any emergency surgery can be conducted round the clock. Apart from Critical Care Ambulance, another 2 ambulances are available in the hospital. Free Ambulance is provided to neighborhood as well as accidents patients 7x24x365 days. Ruby's Pathology, Radiology and Imaging, Cardiology Diagnostic departments are open 24 hours to conduct any investigation at any time. Instant as well as most reports are made available on the same day of investigation. Diagnostic departments are equipped with the latest equipments, trained technicians and consultants.